October 10, 2014  There were no reported injuries from the machine gun exchange along the countries' tense border. The incident comes as the North Korean leader has not been seen in public for more than a month. March 31, 2014  There were no casualties reported. None of the artillery shells are thought to have hit land. The exchange began after a rare announcement by the North that it would be conducting a live-fire drill. 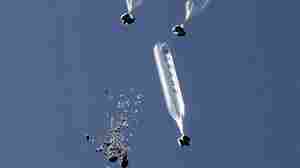 February 27, 2014  The U.S. and South Korea are conducting joint military exercises. In the past, the North has used missile tests to express its displeasure. On Thursday, South Korean officials say, it did so again. 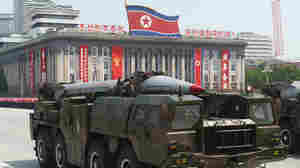 March 15, 2013  North Korea has been increasingly hostile, warning of a preemptive nuclear strike on the U.S.
March 11, 2013  Experts worry that while the North has often made threats, now it's rhetoric is ratcheting up. 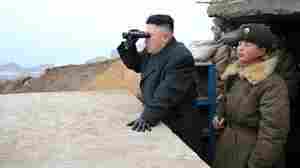 That may make the new young leader, Kim Jong Un, feel as if he has to follow through on the threats in some way.